What I Blog About When I Blog About Books: Essie "Van D'Go"
Today's nail of the day is one of my favorite colors to wear in the springtime. And though I am fully aware that summer is technically over, there is still plenty of sun here in California, and as such, I will continue to wear colorful polishes. Essie's "Van D'Go" is a creme-y peachy pink, slightly heavier on the pink side. The comparison photo I used below is the same one I used in my review of Essie's "Haute As Hello" which you can find here. 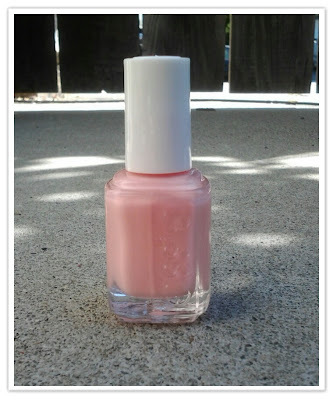 You can also find my review in addition to more photos of Essie's "A Crewed Interest" here if you're interested. "Van D'Go" is the pinkest of the bunch. 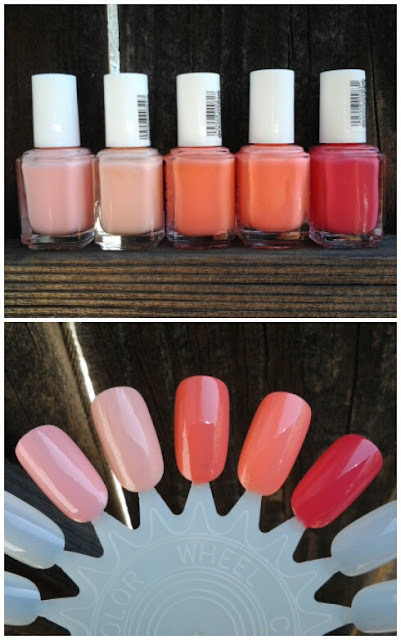 However, if you look at the photos below of it on my nails, it is, without a doubt, a peach color as well. It's soft color makes it incredibly wearable and one of my favorite colors in general. Very wearable and not too loud. Makes the hands look soft and feminine. Will look good on a variety of skin tones. A bit streaky. 3 coats needed for opacity. Final Verdict: Essie's "Van D'Go" is a long standing favorite polish of mine and still is to this day. It is a "must-have" in my collection. Zoya "Caitlin" & Essie "Stroke of Brilliance"